OXFORD, Miss. 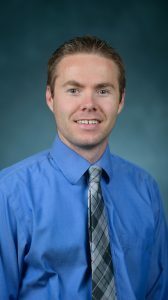 – The American Journal of Health Promotion has named Paul Loprinzi, associate professor of health, exercise science and recreation management at the University of Mississippi, as this year’s winner of its Paper of the Year Award. “The purpose of the award is to recognize some of health promotion’s best scientists and those who bring outstanding humanity to their field of inquiry and bigheartedness to their writing,” said Paul E. Terry, the journal’s editor-in-chief. Loprinzi, who earned his doctorate in kinesiology in 2011 from Oregon State University, studies physical activity epidemiology at Ole Miss, where he has published more than 450 journal articles. His work has been cited almost 6,000 times since he joined the university in 2014.